We&apos;re sure the lines will be epic, but if you&apos;re willing to brave them, West Hollywood&apos;s Shake Shack is giving out free burgers to the first 100 people to show up on Tuesday, August 16. 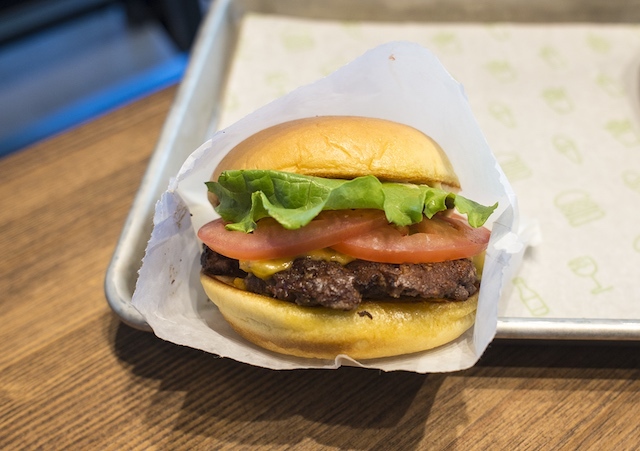 Shake Shack, the East Coast burger chain that finally came to L.A. in March, is celebrating the launch of their 100th outpost. This particular Shake Shack is located in Boston, though L.A. will soon see more in Glendale, Century City, downtown L.A. and Hollywood. Shake Shack&apos;s very first location opened in Madison Square Park in New York in 2004. To commemorate this event, the burger joint will be giving 100 free ShackBurgers to the first 100 people to come to their WeHo location on Tuesday, August 16, beginning at 10:30 a.m. If you&apos;ve never had the ShackBurger, it consists of a burger patty, cheese, lettuce, tomato, and ShackSauce on a potato bun. For more NYC food deals, this is your reminder that IT&apos;SUGAR in Santa Monica will be serving up free XL Gummy Shakes from Black Tap from 1 to 4 p.m. on Saturday, August 13. These shakes are monstrous, with loads of candy and other confections packed on top of and around the actual shake. Shake Shack is located at 8520 Santa Monica Blvd. in West Hollywood.